The fall season is right around the corner. With the changing weather, the beautiful colors, and the feeling of excitement and anticipation, many homeowners becoming inspired to improve various aspects of their home. Unfortunately, certain home improvement projects can be complicated and costly. Choosing a few minor projects that will make big impacts in the home is key in creating a more comfortable environment for the upcoming season. It is important for homeowners to be organized. Many times, homeowners will find themselves to be incredibly chaotic and unorganized when seasons change. They may be pulling out holiday decor or doing a little seasonal cleaning and realize their home is in complete shambles. Fortunately, homeowners can easily get organized. The garage is a great place to start. Homeowners can purchase additional shelving, totes, and other organizational tools that can easily be hung on the garage walls. Many home improvement stores sell affordable wall brackets, shelves, and baskets that are specifically designed for various elements in the garage. For instance, sports balls can all be stored in a specialized ball organizer. Having a clean garage where everything is where it should be is an excellent way to bring in the new season. Once homeowners realize how easy it is to get the garage or attic area clean and organized, they will most likely want to move on to other areas of the home. There is nothing nicer than spending a cool evening outdoors especially in the Fall season. However, many homeowners do not have a covered area outside their homes to do so. Constructing a screened deck or porch can be a great idea that will add a lot of equity to the home. However, doing so is also very expensive. So, homeowners can choose a more affordable solution such as an awning. Canvas awnings can be installed onto the home very easily. They come in a variety of colors and styles so there is a perfectly suited option for every home. Canvas awnings are becoming more and more popular for homeowners who are interested in a less expensive way of spending time outdoors. 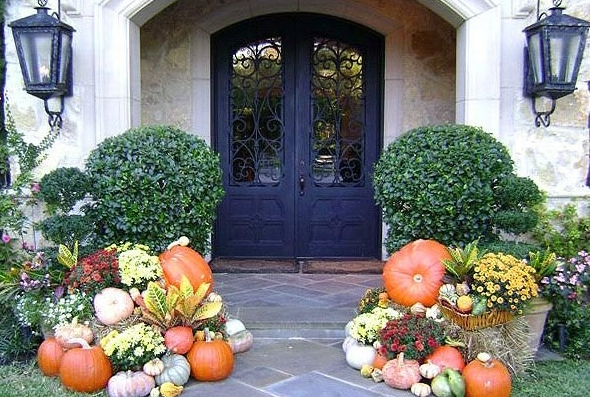 The fall should also motivate homeowners to spruce up the front of their homes. “Curb appeal is incredibly important and is easy to accomplish” say the experts at Better Homes & Gardens. Fall brings on some really amazing flowers and plants that can be placed in pots on the front porch or planted in the yard. Homeowners should choose flowers that offer bright, bold Fall colors such as orange, maroon, red, and yellow. These colors are perfect for the front areas of the home’s landscape and will really stand out against the rest of the yard.